Sociologists typically understand the way actors remember and invoke historical events in political debate to be primarily strategic, demonstrating that the past is used to make a case for policy in the present. Yet how actors remember the past also shapes their worldviews and approaches to policy in the first place. While some scholars acknowledge the more foundational role remembering plays in politics, this approach remains underdeveloped at the local level. In this article I examine the role memories of Boston’s school desegregation crisis of the 1970s have played in contemporary school reform processes, specifically in efforts to revise how students are assigned to schools at the city and neighborhood levels. Through interviews with policy-making participants and community advocates, I find that while actors on different sides of the debate draw on common narratives of Boston’s school desegregation crisis, they dispute the relevance of these events to the present. I find that some actors draw on memories of the crisis to assert a mnemonic closure from a racist past, while others, advocating distinct approaches to student assignment, argue for mnemonic bridging of institutional racism from the past to the present. 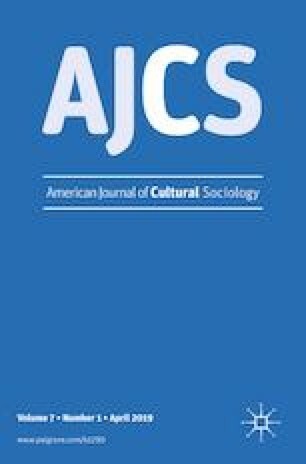 This analysis demonstrates that social remembering is a central component of urban cultural politics, with racial discourses structuring how policy actors understand relationships between the past and the present to arrive at distinct policy conclusions. To suggest these processes are purely strategic masks the discursive power of racial ideologies which inform participants’ understandings of the past and their approach to the distribution of urban resources. I received valuable feedback on versions of this manuscript from a number of people whom I would like to gratefully acknowledge: Liza Weinstein and the participants in the 2016 writing workshop she assembled at Northeastern; Shelley Kimelberg, Jeffrey Juris, Miren Uriarte; and finally, the two anonymous AJCS reviewers and Editor Phillip Smith. I’d also like to acknowledge Donna Bivens and Horace Small at the Union of Minority Neighborhoods for making this research possible in the first place. Boston Public Schools. 2014. Boston Public Schools at a Glance: 2013–2014. Boston MA: BPS Communications Office. http://www.bostonpublicschools.org/cms/lib07/MA01906464/Centricity/Domain/238/BPS%20at%20a%20Glance%2014-0502.pdf. United States Bureau of the Census. 2010. State and Country Quick Facts. American Community Survey. http://quickfacts.census.gov/qfd/states/25/2507000.html. Accessed 12 May 2015.